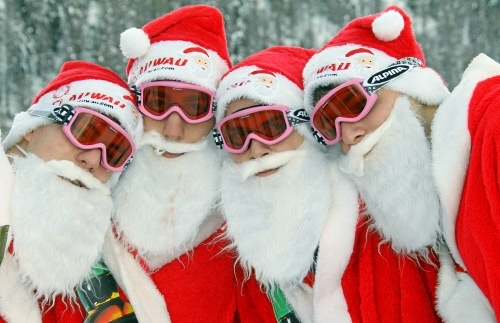 We shot DVCAM at the Clauwau (Santa Claus World Championships) in the snowy Swiss Alps. Our cleints were ZDF, SNTV and TWI. 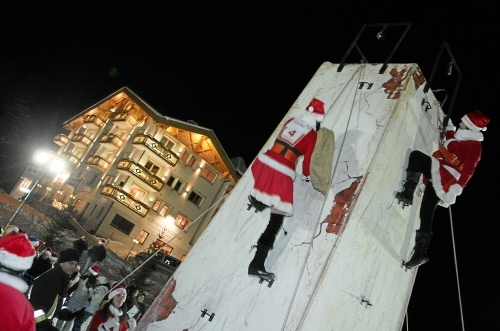 Teams from around the globe competed in wild and whacky events like sled racing and chimney climbing in order to win the coveted title of Worlds Greatest Santa. 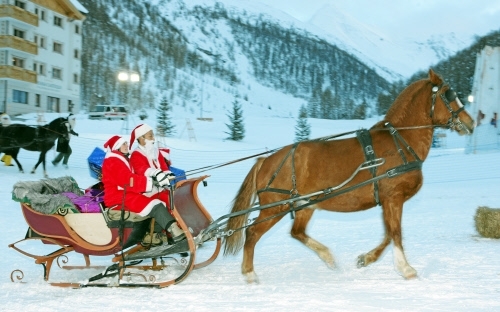 Rudolf couldn't make it, so they had to use a horse. 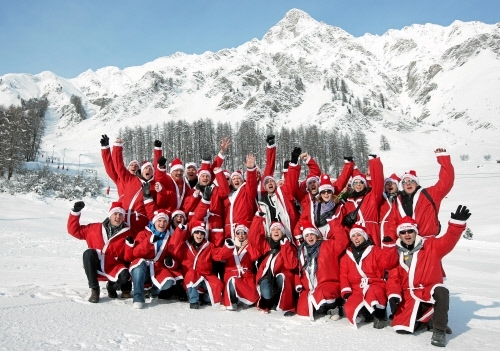 As children we are taught there is only one Santa, but we all know one couldn't possibly make it around the whole world in one night! The truth is there are about 20, as pictured here.